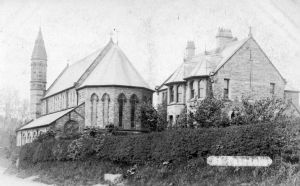 Originally formed in 1855 by the Benedictine order, the Parish of Our Lady and St Patrick (originally the Mission of St Patrick) includes both The Pugin Church of Our Lady and St Patrick and St Patrick's RC Primary School and has served Walton-le-Dale and surrounding area for over 150 years. This page is intended to give you information about the Parish and a flavour of the events, services, groups and societies that exist within it. Parish History - for a chapter by chapter version of the published Parish History click here. Groups and Societies - click here for a comprehensive list, information on and contact details for the Parish's groups and societies. Parish Council - details of the mission and work of the PC. Restoration and Fundraising - details of the Church Restoration, Parish events and fundrasing activities including Gift Aid. Contact Information - contact the Parish.